Taylor Wharton Cryogenic Storage - Marathon Products, Inc.
Taylor-Wharton’s advanced range of cryogenic refrigerators and dewars meets your needs – flexibility,efficiency and economy. Our comprehensive series of high-performance refrigerators incorporates durable and lightweight construction with maximum holding times for optimum capacities. 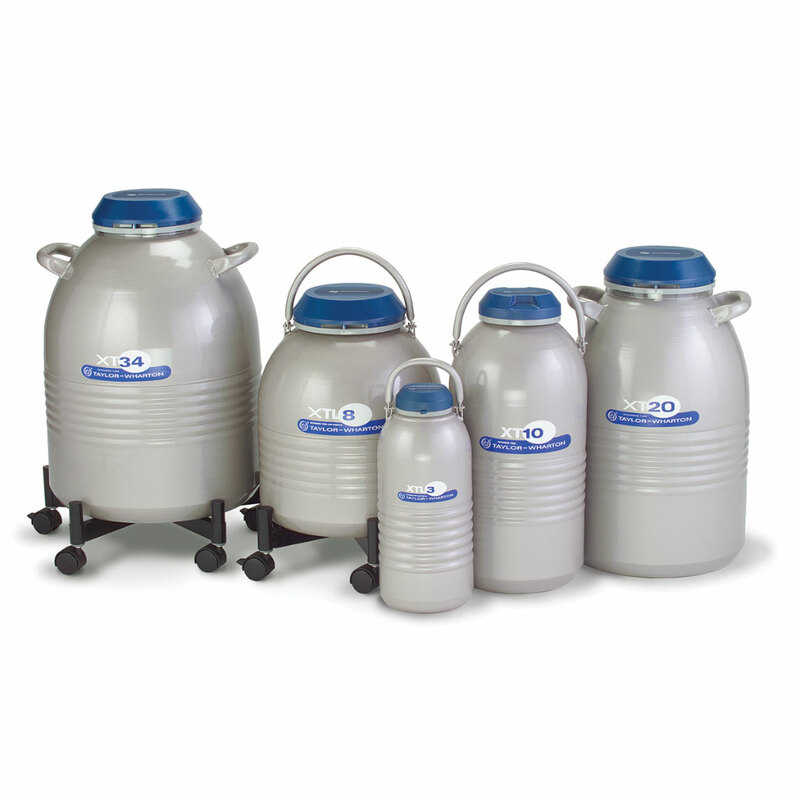 The Extended Time series (XT) of cryogenic refrigerators are designed for long-term storage of a variety of materials at cryogenic temperatures. 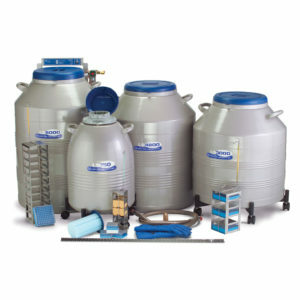 This series also offers low profile models (XTL) with 5 inch canisters. 1. Evaporation rate and static holding time are nominal. Actual rate may be affected by the nature of the contents, atmospheric conditions, container history, and manufacturing tolerances. 2. Work time is an arbitrary, reference-only value to estimate container performance under the actual operating conditions. 4. 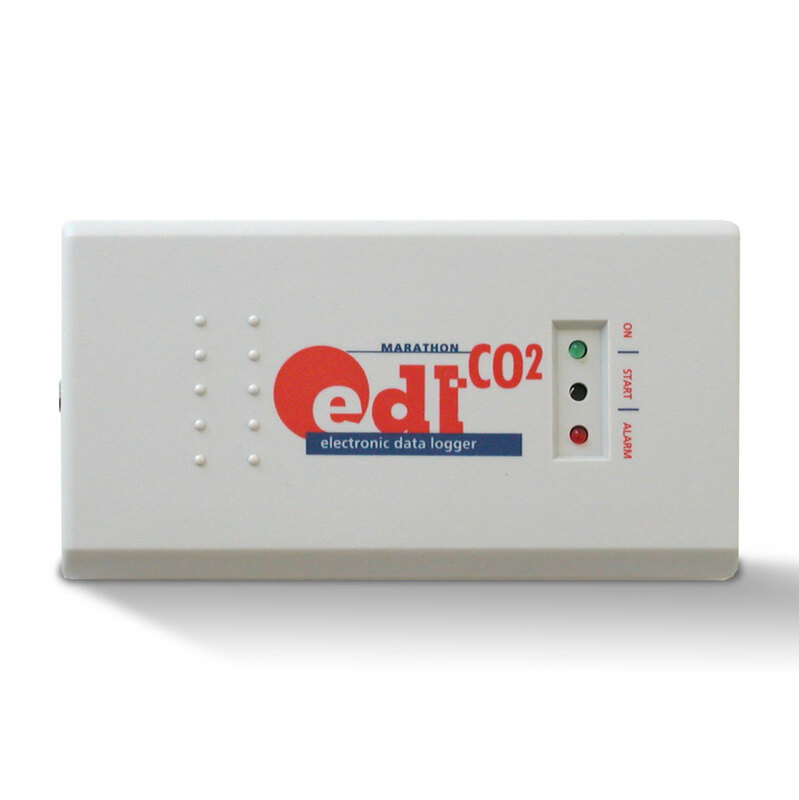 Canisters are also available in 5.0 in. (127 mm) height for XT10, XT20, and XT34. The Laboratory Systems (LS) Series are uniquely designed for large vial capacity in convenient box-type storage racks. They provide maximum holding times. This means lower per vial operating costs and fewer refills. The new LS6000 with the AutoTrend Controller with temperature read-out provides automatic filling and alarm features. 3. Without canisters or racks. 4. 2.0 ml vial size: 12.5 mm OD, internal thread. 5. 81 cell boxes available. 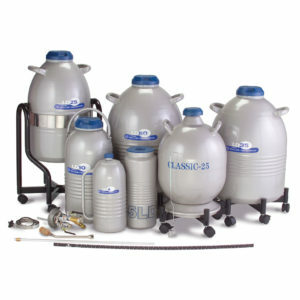 The Laboratory Dewar Series (LD) of cryogenic dewars are designed for storing and dispensing small amounts of liquid nitrogen. 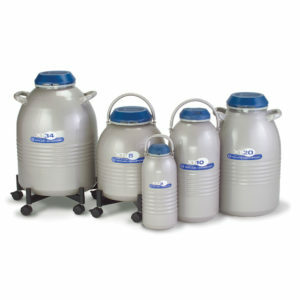 The series includes a beaker style dewar with a wide mouth (LD5) and pitcher-style model for easy pouring (LD4).